Although we stock only red oak parts, we have the ability to supply you with a number of different exotic wood stair parts in a timely manner. From treads, risers and stringers for your staircase, to newels, balusters and handrail for your stair railing we have the know how and expertise to make anything you could want. Below you will find a list of the more common exotic woods, if you dont see what your looking for just ask us. 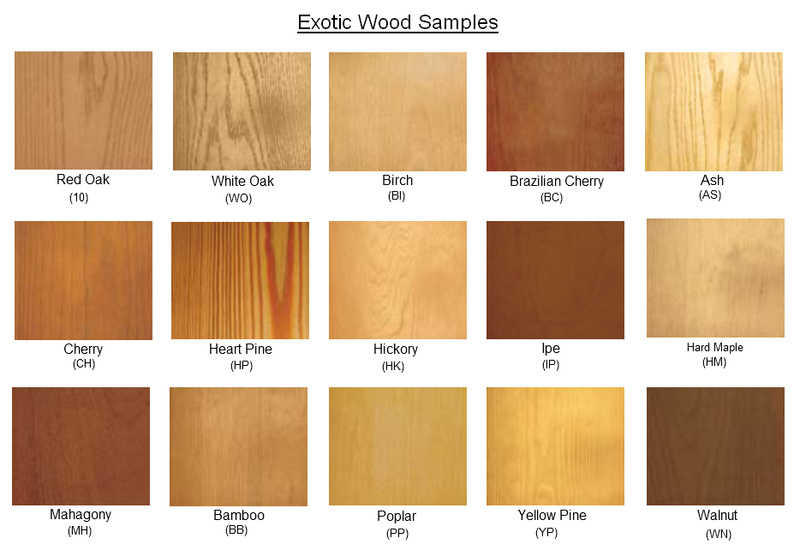 Also, please understand that wood is a natural product and the pictures below are just a snapshot of the specific type of wood, your finish and grain pattern may vary.